This one is for the shoppers, or for those who have to go shopping but would rather be drinking sake. On the ground floor of Kyoto Aeon Mall, directly behind Kyoto Station, and just beyond the cash registers at Kohyo supermarket, you’ll find Asano, a sake shop that has a small counter where they serve tasting menus and a concise but lively food menu, which consists of morsel-sized appetizers such as smoked cheese, smoked mackerel and miso paste. Opened last summer, Asano offers a reprieve from the crowds and conspicuous consumption. Besides the fridges full of sake from breweries all across Japan, there are two tasting menus: one for Kyoto sakes, and another from a brewery outside Kyoto, which changes each week. On a recent visit I sampled three sakes from Fukunishiki Brewery in Hyogo, nearby the Banshu plains where much of Japan’s best sake rice is grown. 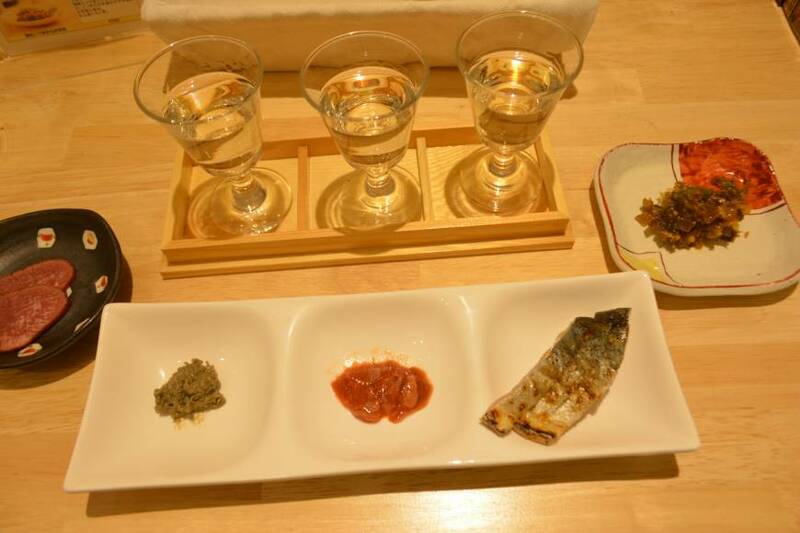 Between 10 a.m. and 4 p.m. the sake set is ¥700 for three 30-ml glasses; thereafter the price jumps to ¥900. Not only is this a great reason to stop shopping, it’s also a great reason to not get going again. 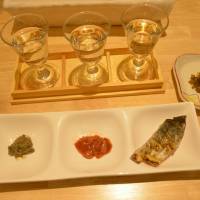 Besides the tasting sets, there is a huge list of sake divided between west and east brewers. I struck it lucky with a glass of Senchu Hassaku from Tsukasa Botan Brewery in Kochi. With sake as with many things, it’s about finding your own way.